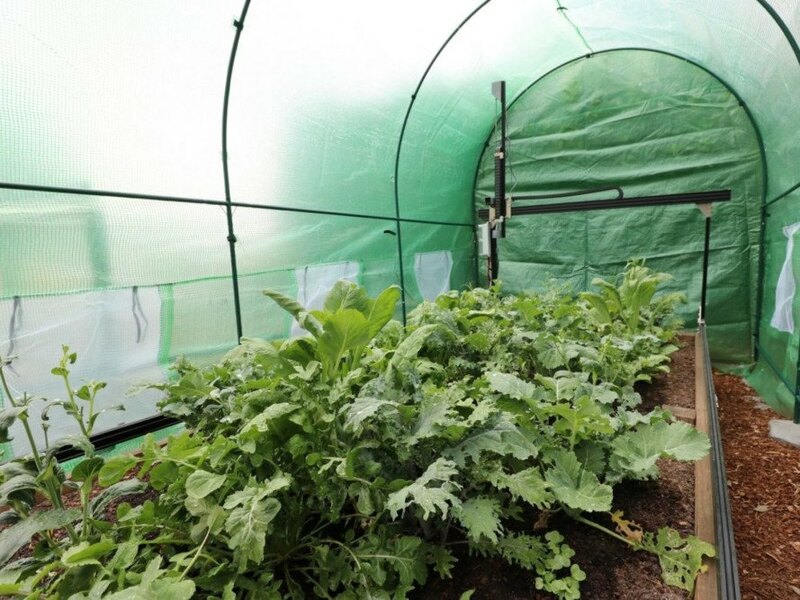 Having zero green thumbs, I get a little excited each time I hear about a technological advancement in farming that could help people like me successfully grow our own food. 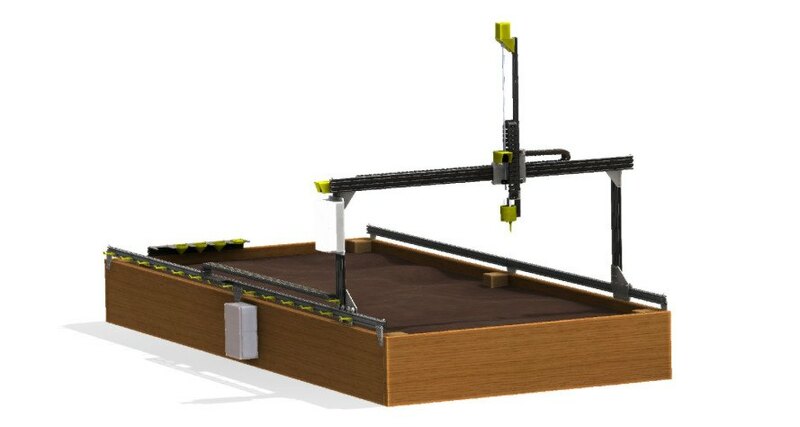 A few years back, we reported on the open-source farming machine called FarmBot, which comprises a stationary frame and moving arm that can plant seeds, water plants, or spray nutrient-rich fertilizers. Now, the company is accepting preorders for its Genesis kits at a discounted price. The kits are geared toward helping backyard farmers make the most of their tiny plots. FarmBot Genesis has many benefits. The machine operates based on programmed instructions and a detailed grid map of the garden plot and can, with exacting precision, plant seeds in perfect rows—a tiresome and sometimes backache-inducing task for a human farmer. Genesis also waters plants on a set schedule, monitors soil conditions, and even takes care of weeds. Watching the machine in action is a thing of true beauty, especially when you can do so from a hammock in the shade while sipping an icy glass of lemonade. Despite the complexity of the device, setting it up seems to be quite simple. Users log in to a web-based app that makes it super easy to plan a garden by dragging and dropping the desired plants onto a visual grid. By default, 33 common crops are available to choose from. The software is preloaded with details about ideal plant spacing for each variety, so the Genesis adjusts for those spaces automatically without any effort or guesswork on behalf of the human farmer. The app is accessible via computer, smartphone, or tablet, so it’s easy to make changes on the fly. Genesis can manage gardens ranging up to 9.5 feet x 4.6 feet (2.9 meters × 1.4 meters), with a maximum plant height of around 20 inches (0.5 meters) to allow clearance for the machine’s moving arm. Because the project is open-source, folks with advanced techie skills will probably soon find crazy new ways the Genesis can benefit their backyard gardens, but even a Luddite will be able to reap what technology can sow. In fact, they will have to do exactly that because, although Genesis is quite skilled in plant maintenance, it doesn’t harvest the final product. FarmBot is currently taking preorders for the Genesis, an open-source farming machine that maintains backyard vegetable gardens like a pro.